Oberlin bed and breakfast travel guide for romantic, historic and adventure b&b's. 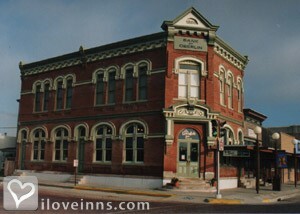 Browse through the iLoveInns.com database of Oberlin, Kansas bed and breakfasts and country inns to find detailed listings that include room rates, special deals and area activities. You can click on the 'check rates and availability' button to contact the innkeeper. When you say Oberlin, Kansas, you are actually referring to the place where the Last Indian Raid Museum is found. In Oberlin you will find the Swanson Reservoir about 50 miles northwest, where more than 4,000 acres of crystal clear open water freely flows. If you are looking for a place of recreation for your friends and family with a little dose of history, the city of Oberlin is the place to visit. If you are into outdoor activities and seafood, you will be delighted to find that Oberlin is 30 miles west of the Prairie Dog State Park, which is near the Keith Sibelius Reservoir. And that only means one thing -- fishing for large mouth bass, catfish, bluegill, walleye, crappie, and more.Stay at any Oberlin bed and breakfast and treat yourself to one of the most relaxing experiences of your life. Hunt, hike, take pictures, and enjoy a lot of things while in Oberlin with your friends and family alike. By The Landmark Inn at The Historic Bank of Oberlin.